From football to baseball to basketball and more; sleepers to keepers to bleepers, these guys keep you up to date with all the action in the "fantasy" leagues and keep you laughing while doing it. Your Expert Source for Fantasy Sports Information. Brad Evans will give you the information to help you to dominate your fantasy league. 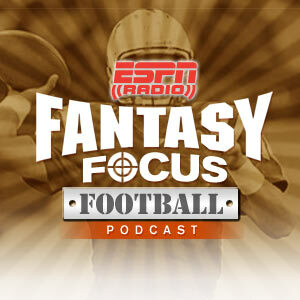 ESPN Fantasy experts Matthew Berry and Nate Ravitz provide daily fantasy football player previews, game overviews, injury reports and strategy. Looking at sports from the perspective of a fantasy team owner. Program features include "The Fantasy Headlines", "Who's Hot, Who's Not", the "Tip of the Day", and "Trade Desk." Featuring injury reports, matchups and last-minute substitutions, Burns, Lundy and Harmon are your FOX Sports fantasy sports insiders every weekend.